The Canadian feature film Patterson’s Wager will have its Ohio premiere at the 21st Indie Gathering International Film Festival on Saturday, August 13th, at 5:50 PM in Screening Room A at the Clarion Inn and Conference Center (6625 Dean Memorial Parkway, Hudson, Ohio). The film has won 1st place in the festival’s feature romantic-comedy category. It’s also been nominated for two acting awards – Best Lead Actor (Fred Ewanuick) and Best Supporting Actress (Chelah Horsdal). Writer/director O. Corbin Saleken will be in attendance at the festival. 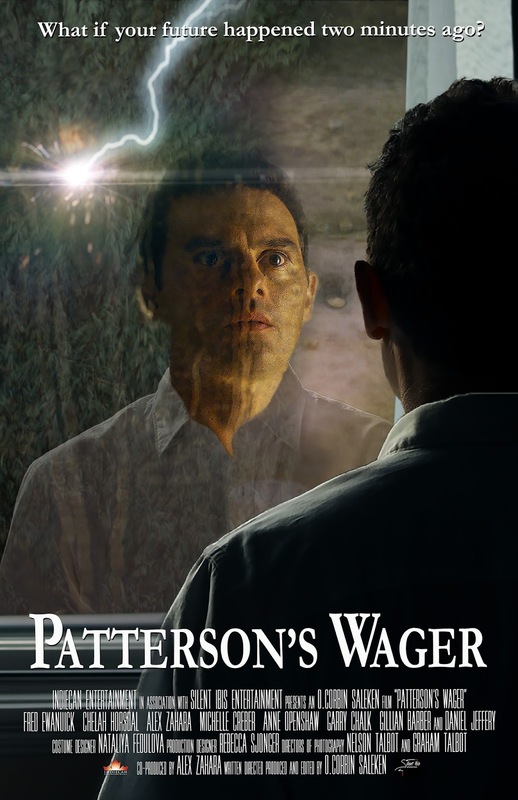 Patterson’s Wager is a charming, romantic comedy that stars Fred Ewanuick (Corner Gas) as a man who discovers that he has the unpredictable ability to see two minutes into the future. In addition to Ewanuick, the stellar cast of talented Vancouver actors includes Chelah Horsdal (Hell on Wheels), Alex Zahara (Once Upon a Time), Michelle Creber (Strange Empire), Anne Openshaw (The Grey), and Garry Chalk (AMC’s The Killing). The film – which was filmed over 12 days in Vancouver, BC - was written, directed, produced, edited, and entirely self-financed by O. Corbin Saleken. It is Saleken’s first feature film. The creative team includes acclaimed directors of photography Nelson Talbot and Graham Talbot (Lawrence & Holloman) - who recently garnered wide-spread media attention for their “When Pigs Fly” Doritos’s commercial, which aired during the 2015 Super Bowl - production designer Rebecca Sjonger, and costume designer Nataliya Fedulova. In addition to acting in the film, Saleken’s long-time friend and frequent collaborator Alex Zahara also co-produced. 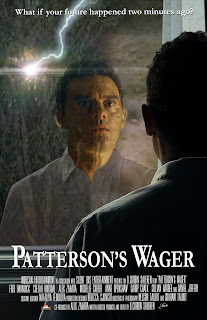 Patterson’s Wager has screened at a number of film festivals throughout North America. Most recently, it was awarded Best Foreign Feature at the Machetanz Film Festival in Alaska. Prior to this, it won the Best Foreign Feature and Best Screenplay Feature Film awards at the Twister Alley International Film Festival, Best Feature award at the Spokane International Film Festival, Best Independent Feature Narrative award at the Winnipeg Real to Reel Film Festival, the Golden Honu for Best Foreign Feature at the Big Island Film Festival in Hawaii, a Special Jury Prize for Feature Narrative at the Columbia Gorge International Film Festival, and Best Picture, Best Actress (Chelah Horsdal), and Best Supporting Actress (Michelle Creber) at the Oregon Independent Film Festival.